Eleven students and two instructors from the Department of Aerospace Studies traveled to Wright-Patterson Air Force Base in Dayton, Ohio, Sept. 16 to attend the United States Air Force Marathon and visit the National Museum of the United States Air Force. During the trip, students and faculty had the opportunity to tour a local innovation firm that is a part of the Wright Brothers Institute, participate in marathon activities and attend a barbecue with local Air Force and community leaders. Department Head Lt. Col. Heath Duncan and students John Nachtigall and Kendall Tindall competed in the 10K race and Assistant Professor Maj. Brad Caywood competed in the half-marathon. 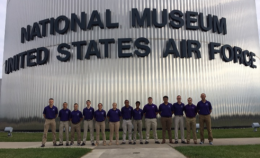 The students gained invaluable exposure to career options, networking and leadership opportunities within the Air Force and the technology sector throughout the trip. 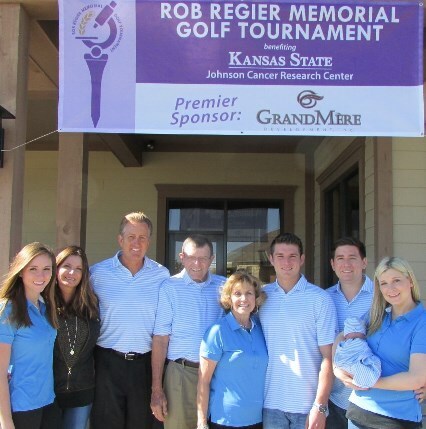 This event is organized and supported each year by retired Lt. Col. Joe Lask, a K-State and Dept. 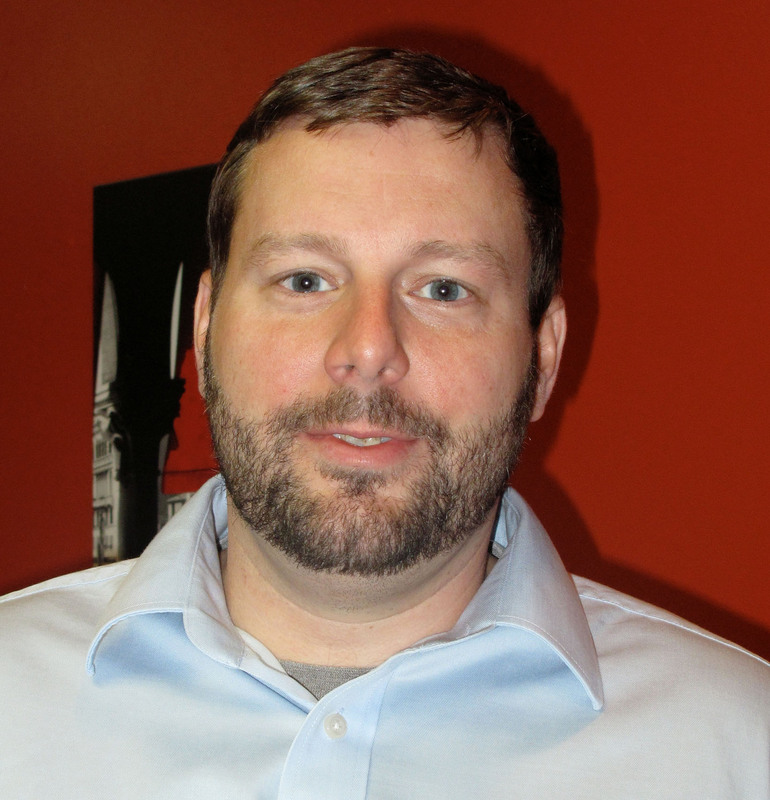 of Aerospace Studies alumnus living in the Dayton area. The department also finished in the top spot on campus for departmental rankings based on activity for the 2017 K-State Movement Challenge. With an average daily step count of 18,492, Aerospace Studies beat out the Budget Office and County Agents NE Sector who finished 2nd and 3rd respectively. Lt. Col. Heath Duncan, department head, Maj. Brad Caywood, assistant professor, and Mary Jo McHugh, office specialist, comprised the three-person department team. McHugh finished 4th overall for the university individual step count with an average of 33,170 daily steps. The art department started using Twitter and Instagram as a recruiting tool this fall. They have received encouraging and favorable feedback from other departments and K-State at large. They were asked by K-State’s Division of Communications and Marketing to do a “takeover” of the K-State Snapchat account on Oct. 23, as well as a Facebook Live stream of a student doing a ceramics wheel throwing project on Nov. 3. The department’s handle for Twitter is @kstateartdept and their Instagram is @kstateart. One of the department’s posted photos is featured at right. 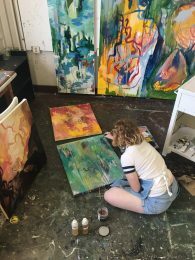 Professor Nancy Morrow’s solo exhibition “In Care of …” at the Gorecki Gallery in the St. Benedicta Arts Center at the College of St. Benedict/St. John’s University ran from Aug. 8 to Oct. 20. Per the exhibit description, “In Care of…” invites the viewer to reflect on the transformative journey that happens when providing care to and being called upon to speak for another. The works on paper evoke imagery of assistive products associated with health care, nurturing and protection as points of departure, allowing the artist a responsive dialogue as their maker. Through repetitive, sequential and ceaseless actions they become stand-ins or vehicles in which to contemplate time, humility, altruism, and responsibility. The frailty of paper and the layers of transparencies used within the works suggest the instability of shifting form in space and time. Where do personhood and selflessness lay? Assimilation with another can be depleting or redefining, can bring a sense of loss or authentic realization. Click here for more information. 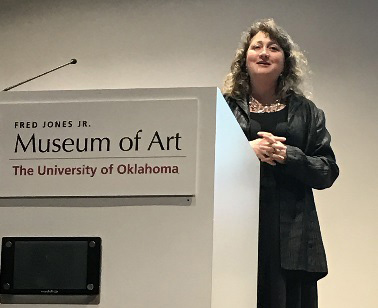 Associate Professor Mervi Pakaste gave a visiting artist presentation titled “Mapping Meaning: Works by Mervi Pakaste” at the University of Arkansas Forth Smith on Sept. 7. Her solo exhibition of the same name was displayed in the university’s Windgate Gallery from Aug. 1 through Sept. 15. Pakaste also conducted a letterpress workshop at the university. 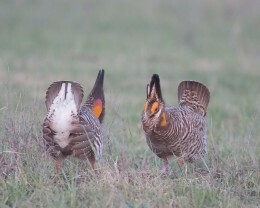 Click here to read more about Pakaste’s visit to Arkansas. 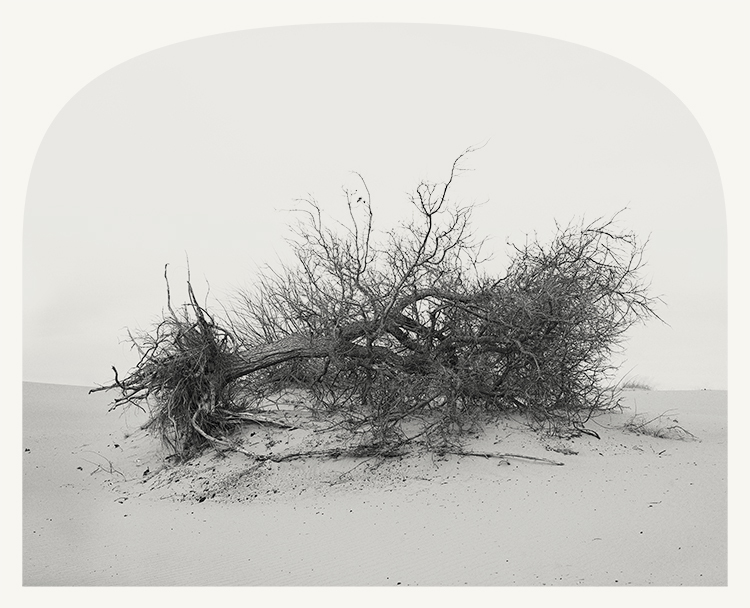 Associate Professor Jason Scuilla exhibited new electrolytic etchings in Venice this summer during the 2017 Venice Biennale. The Venice Biennale is one of the most famous and prestigious cultural events in the world. It stands at the forefront of research and promotion of new contemporary art trends, exhibitions, and research, attracting more than 500,000 visitors each year. To coincide with the Biennale, commercial galleries and museums throughout Venice feature internationally recognized art and artists. Scuilla was invited by Galleria Latteria Moderna to exhibit “Scuilla Sestieri,” a solo exhibition of new electrolytic etchings, as one of its 2017 Venice Biennale Printmaking Exhibitions. Scuilla is pictured above (right) at the Galleria Latteria Moderna with Gallery Director Mario Teleri Biason (left). The artwork was based on research done while in residence on fellowship at the Scuola Internazionale di Grafica in Venice. Each print was hand drawn and etched using a unique electro-chemical process Scuilla is developing at Kansas State University through a federally funded National Endowment of the Arts grant. 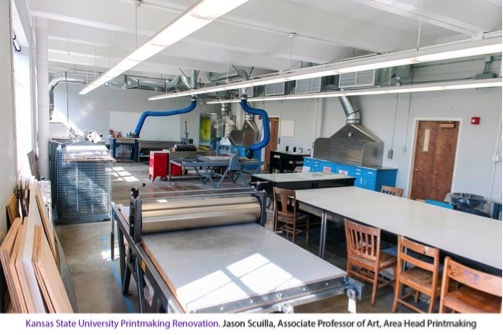 The exhibition brought increased international awareness to this innovative, interdisciplinary K-State Arts and Sciences collaboration taking place between Scuilla’s print studios and Stefan Bossmann’s chemistry labs. 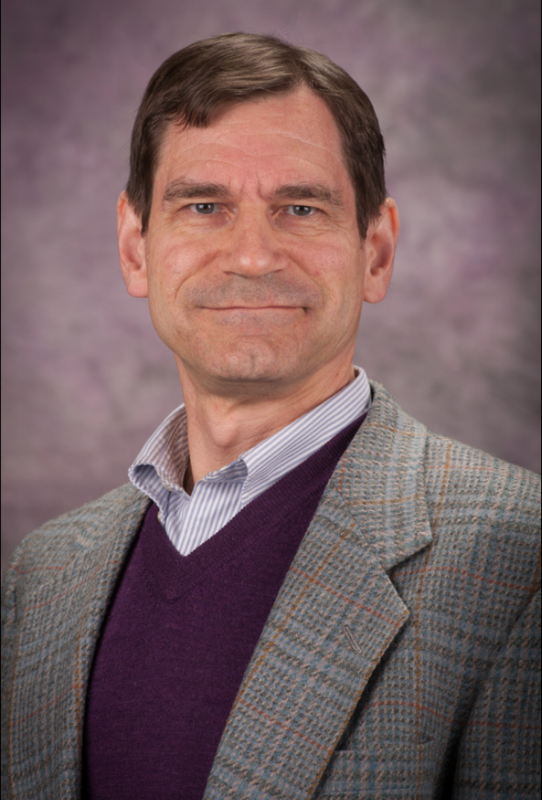 Christer Aakeroy, university distinguished professor of chemistry, was awarded the 73rd Midwest Award from the American Chemical Society. The award was established in 1944 to publicly recognize outstanding achievements in chemistry in the Midwest Region of the American Chemical Society, and is conferred annually on a scientist who has made meritorious contributions to the advancement of pure or applied chemistry, chemical education, and the profession of chemistry. 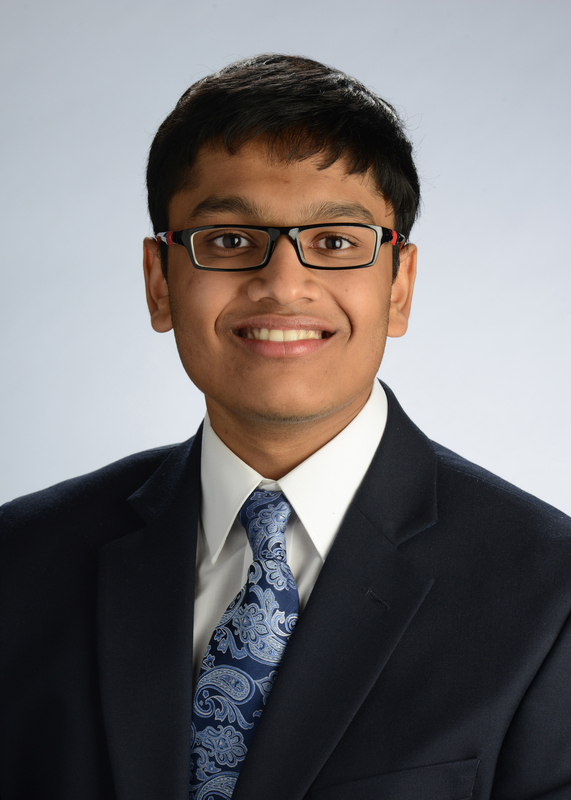 The award was presented on Oct. 19 at the Midwest Regional American Chemical Society Meeting on the University of Kansas campus in Lawrence. 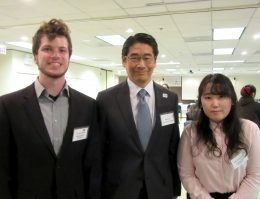 Aakeroy is being recognized specifically for his significant contributions in the field of crystal engineering — growing crystals “by design.” He and his coworkers have been remarkably productive in this area, publishing more than 160 manuscripts related to crystal engineering to date, and attracting numerous invitations to present on his research across the globe. They also have received substantial funding from federal agencies and from the chemical industry. In addition to his reseach activities, Aakeroy is also well known as an outstanding lecturer in the freshman chemistry program. 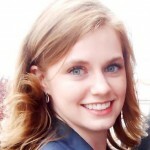 Sarah Riforgiate published “Identity Work and Tensions in Organizational Internships: A Comparative Analysis” in the Western Journal of Communication. This paper examines an increasingly popular yet underexplored form of organizational employment: internships. Drawing on interviews with 40 interns, this study explores the communicative tensions they faced and how two different groups of interns, satisfied versus dissatisfied, reported their responses to these tensions. Data revealed three key tensions that distinguished the two groups: identity work based on being an inexperienced student worker versus a competent employee, a focus on present versus future, and a preference for close versus distant supervision. The article discusses the implications of using different approaches to manage these tensions on identity work. 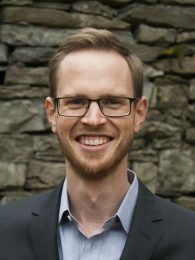 Greg Paul published “Beliefs about Victim-Offender Conferences: Factors Influencing Victim-Offender Engagement” in Conflict Resolution Quarterly. Victim-offender conferences provide victims an opportunity to pursue their justice goals while talking directly with their offender. Although research on victims’ conference participation willingness is growing, it has tended to neglect the influence of context factors. 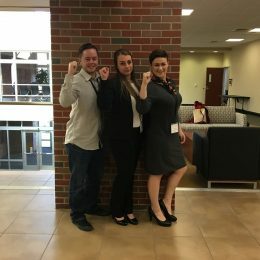 Drawing on the theory of planned behavior, the study reported in this article elicited beliefs about justice goals, emotions, perceived support, and external control beliefs related to intent to participate in a victim-offender conference. Analysis indicated that beliefs about justice goals, anticipated emotions, social support, and behavior control influence conference participation willingness. The article identifies implications for research and practice regarding restorative justice and conference participation. Natalie Pennington, associate professor, was a guest lecturer on Oct. 5 for the University Of South Carolina Upstate Fall Communication Studies Lecture Series where she presented “Political-Interpersonal Conflict In-Person and Online – What happens to our interpersonal relationships when forced with political disagreements online and in person?” Pennington’s research offers answers to this through attention to the spillover effects of social media within interpersonal relationships as they relate to political conversation. As part of a workshop on trade and development at the Graduate Institute of Geneva, Associate Professor Peri da Silva presented “Value-Added Exports and U.S. Local Labor Markets: Does China Really Matter?” co-authored with Leilei Shen. 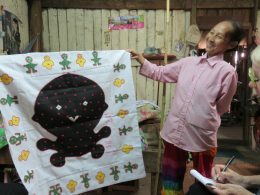 The workshop took place on Sept. 12. The focus of the presented paper is the direct contribution of the Chinese economy to changes in U.S. labor market outcomes. 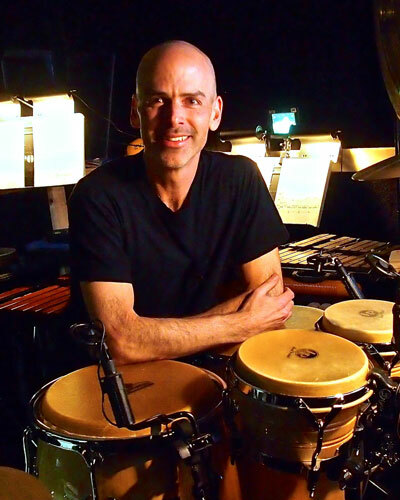 This year’s outstanding alumni for the Kansas State University College of Arts and Sciences include Kevin Rabas, poet laureate of Kansas; Dave Roth, a Broadway percussionist; and Summer Lewis, co-founder of the international development firm True Roots. The three awardees received recognition from the college at the eighth annual Eisenhower Circle Celebration on Oct. 19. The Eisenhower Circle Celebration, established in 2010, is a special event hosted by the College of Arts and Sciences to recognize outstanding alumni, student scholarship winners, and donors. Each year one of the college’s scholarship recipients is invited to speak at the celebration. This year’s speaker was Victor Valdez-Herrera, a junior in economics from Dodge City. 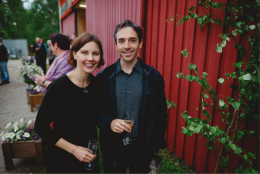 Rabas and Roth received Alumni Merit Awards, which recognize alumni who have demonstrated outstanding achievement in one or more of the following areas: distinguished service, discovery, public engagement, arts and humanities, or entrepreneurship. Rabas, who received a Master of Arts in English from Kansas State University in 1998, was named the poet laureate of Kansas in April and is chair of Emporia State University’s English, modern languages and journalism department. He has written nine books, including “Lisa’s Flying Electric Piano,” a Kansas Notable Book and Nelson Poetry Book Award winner. Rabas’ plays have been produced across Kansas and in North Carolina and San Diego. His most recent poetry collection, “Songs for My Father: Poems & Stories,” was published by Meadowlark in 2016. Lewis graduated in 2005 with a Bachelor of Arts in Spanish, sociology and women’s studies. She will receive the college’s Young Alumni Award, which recognizes alumni who have excelled in their professions and provided service, especially humanitarian services, to their communities in the early part of their career. 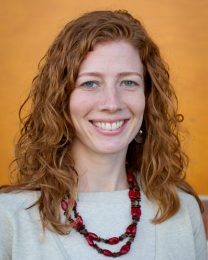 Lewis is an international development consultant and educator with more than 15 years’ experience in the coffee value chain, fair trade, gender equity, and peace and conflict resolution. As the co-founder of True Roots, a consulting firm specializing in social responsibility initiatives in the global south, Lewis provides the tools and guidance for donors and nonprofit organizations to carry out community development projects. 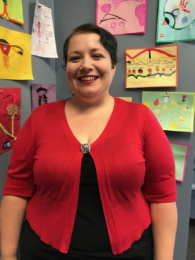 She also teaches online courses for Kansas State University’s gender, women, and sexuality studies department. 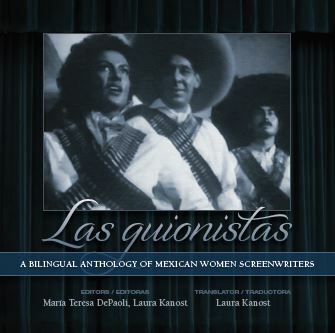 Formerly of Manhattan, she currently lives in Oaxaca, Mexico. Professor Han Yu published her new book “Communicating Genetics: Visualizations and Representations.” Yu’s research offers strategies to help researchers and writers better communicate scientific research for the general public. 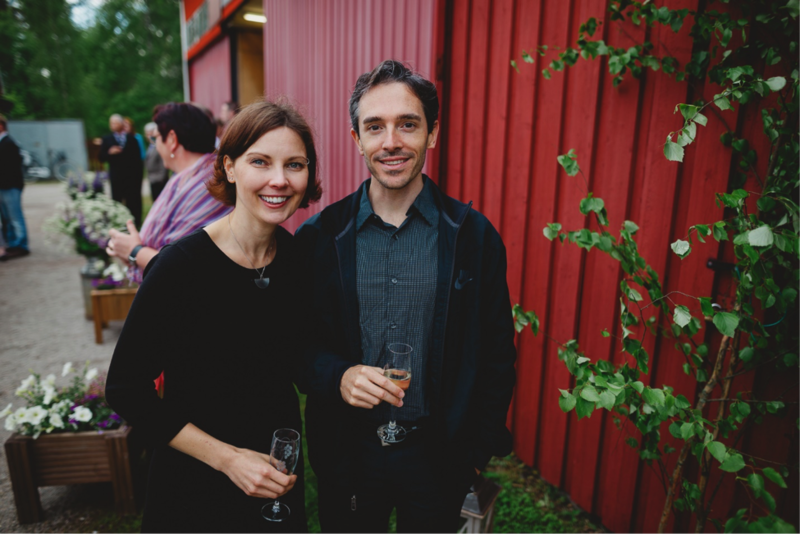 Alumnus Kevin Rabas (MA ’98) was selected for an Arts and Sciences Alumni Merit Award. Assistant Professor Traci Brimhall had her poem “Fledging” selected as the Poem-of-the-Day for Sept. 26, 2017 by the Academy of American Poets . University Distinguished Professor Phil Nel has been receiving media coverage for his recent book “Was the Cat in the Hat Black? : The Hidden Racism of Children’s Literature and the Need for Diverse Books” (Oxford, 2017), which is now in its third printing. He has been interviewed by the San Diego Union-Tribune, the New York Times, and the Boston Globe, among other media outlets. 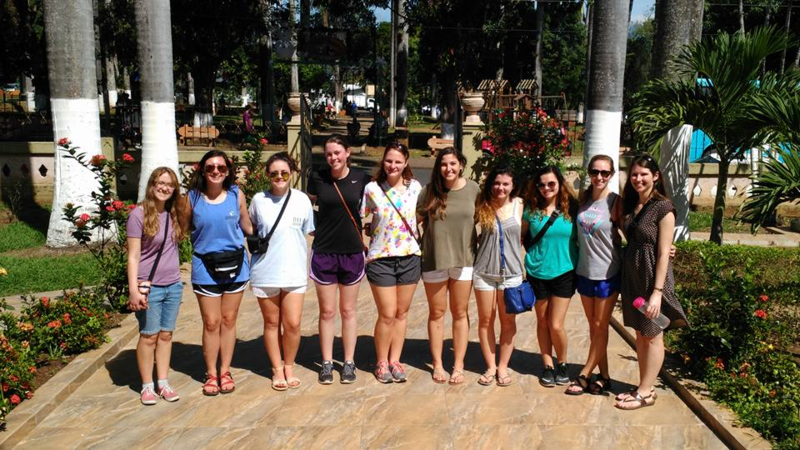 The Kansas State University Beta Psi Chapter of Gamma Theta Upsilon (GTU), the International Geographical Honor Society, was recently named an Honor Chapter, one of only three chapters (out of 130 worldwide) to be so designated. In order to be recognized as an Honor Chapter, a chapter must increase the number of inductees over a period of several years, provide substantial leadership to promote the discipline of geography at its home university, and sponsor frequent activities among the local chapter members. Since 2013, the Beta Psi Chapter at Kansas State University has been recognized four times as an honor chapter. John A. Harrington, Jr. is the faculty sponsor of the Beta Psi Chapter. Karin Goldberg and Pamela Kempton participated in the Sparks for Change Institute, a National Science Foundation (NSF) Geoscience Opportunities for Leadership in Diversity (GOLD) funded program aimed at increasing diversity and broadening participation within the geosciences. 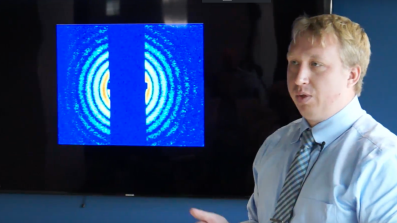 The institute, hosted by the University Corporation for Atmospheric Research (UCAR) in Boulder, Colorado, took place Sept. 18-20. Among other activities, the workshop fostered the development of a logic plan to increase the participation of under-represented minorities in the geosciences. The representatives of the Department of Geology at K-State focused on actions directed at the recruitment of Hispanics as an opportunity to increase diversity and simultaneously address an issue of decreasing enrollments at the undergraduate level. Geology faculty Abdelmoneam Raef and Matthew Totten and their students Andrew Vohs and Aria Linares, reported unprecedented utilization of complex-trace seismic data attributes as a hydrocarbon indicator in the subsurface carbonate rocks of the Viola Formation in Kansas. The research findings were published in Pure and Applied Geophysics in September. This work represents a significant step forward in coupling seismic reflection data attributes modeling and analysis with sedimentary petrography and petrophysical rock properties in order to understand seismic response of hydrocarbon pay zones. Barbara DeSanto, public relations specialist and associate director of graduate studies in the A.Q. Miller School of Journalism and Mass Communications, gave a public lecture in Ackert Hall on Sept. 19. 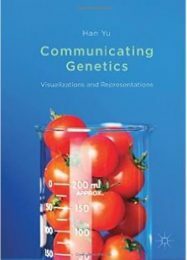 DeSanto shared communication science’s most important principles to illustrate how facts and information can help any science practitioners become outstanding public speakers. Seminar participants had the opportunity to practice these new communication science skills. 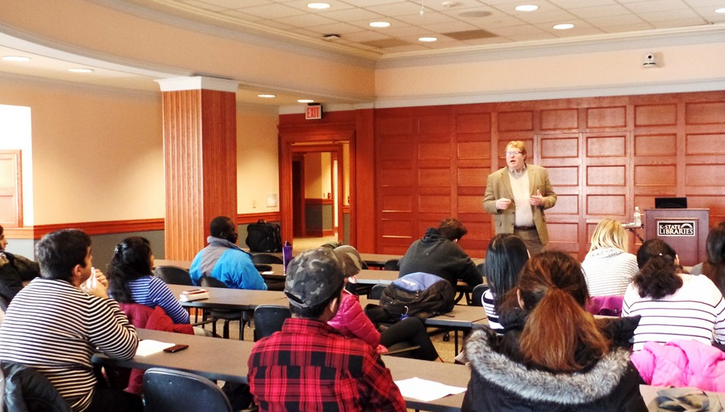 The talk was presented for students participating in the capstone course of the natural resources and environmental science secondary major and was open to the general public as part of the Natural Resources and Environmental Science Seminar Series. 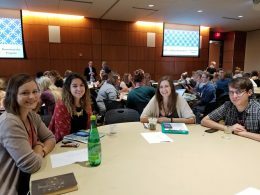 Undergraduate students interested in natural resources, environmental science, and sustainability issues were especially encouraged to attend. The full talk can be viewed here. 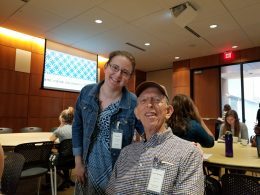 Bonnie Bressers presented the co-authored paper “Civically Engaged Youth: ‘Doing that Volunteering Stuff’ in rural Kansas” at the 18th Annual Conference of the Engagement Scholarship Consortium held in Birmingham, Alabama, Sept. 25-27. 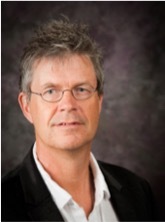 Co-authored by Sam Mwangi, Steve Smethers, David Kaye and Levi Smith, the paper continued researchers’ examination of the The Kiowa County (KS) Media Center’s mission to provide a high-tech portal for community news and information content generated by the residents of Kiowa County. 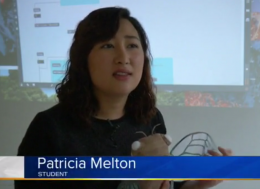 The community’s propensity to participate has been uncertain since the Media Center’s founding in 2012, but the current research suggested that secondary-school students were willing contributors. Furthermore, the student-volunteers at the Media Center were significantly more likely to believe they would engage in other aspects of civic life than their secondary-school peers who volunteered with community programs other than the Media Center. Kimetris Baltrip was selected to receive funding to attend the McCormick Specialized Reporting Institute at the CBS 2 Broadcast Center in Chicago, Sept. 5-7.The institute, which was titled “Police and Deadly Force: Finding Stories in the Data,” was attended by about 40 accomplished journalists and journalism educators who learned about ongoing research and social science research methods that are helping newsrooms cover racial disparities in U.S. policing. Tom Hallaq received a 2017 Videographer Award for “Slow and Low: The Story of the Kansas Ag Pilot.” As written in his award letter: “The goal of the Videographer Awards is to identify and recognize the artisans who excel in the scope of their own environment. Winners range from network news operations to local cable access…from large production companies to freelancers…from international advertising agencies to student producers. There were about 1,400 entries from throughout the United States and 13 other countries in the Videographer Awards 2017 competition.” Hallaq’s work was judged to be “deserving of industry-wide recognition.” View “Slow and Low” on Vimeo. JMC students Rafael Garcia and Braxton Jones were selected to attend the 2017 International Radio and Television Society (IRTS) Multicultural Career Workshop in New York City. The conference, which is in its 33rd year, presents an opportunity for multicultural students to network with representatives of major media companies. Recruiters who attend the workshop come from some of the industry’s most popular media companies, including BET, CBS HBO, MTV and Time Inc. 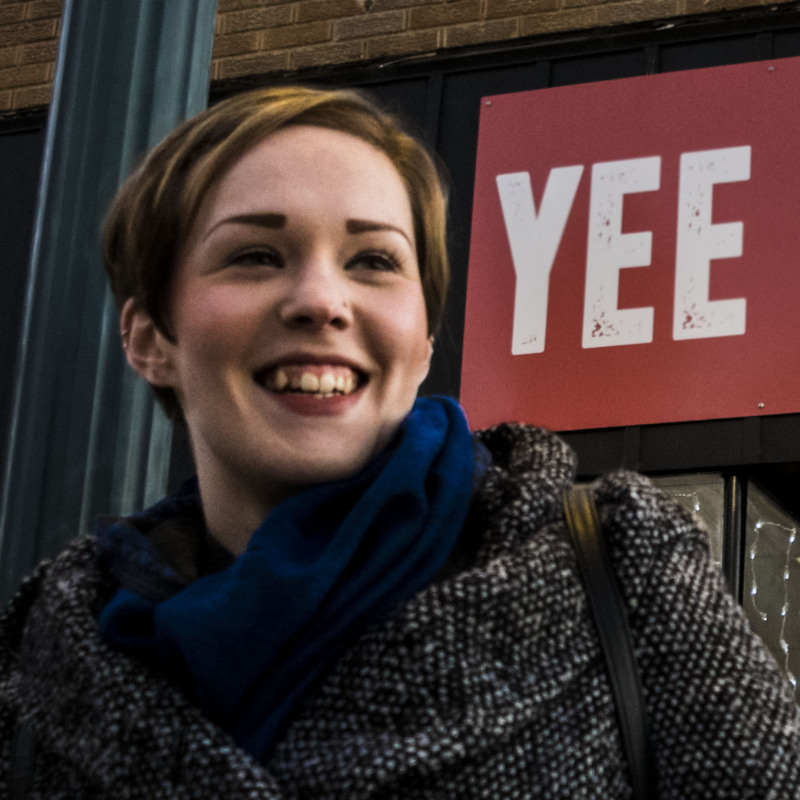 In addition to networking, the conference provides students with greater insight on how they can embark on a career in advertising, digital media, marketing, production or sales. Garcia, a junior from Emporia, Kansas, and the current editor-in-chief of the Kansas State Collegian, seeks to become a feature writer, while Jones, a senior from Wichita, Kansas, desires to launch a career in sports broadcasting. Both students are majors in the A.Q. Miller School of Journalism and Mass Communications. This is Jones’ second time attending the IRTS worskhop and Garcia’s first. German faculty and graduate students attended the Kansas Association of Teachers of German (KATG) annual meeting, Deutsches Wochenende, in Olathe. With a 30+ year history, KATG’s annual meeting is one of the oldest continuous immersion experiences for German teachers in the United States. This year, assistant professor Janice McGregor was appointed president of the organization and graduate student Natacha Mally was elected KATG treasurer. Associate professor Necia Chronister gave a workshop on teaching integration in the German language classroom. 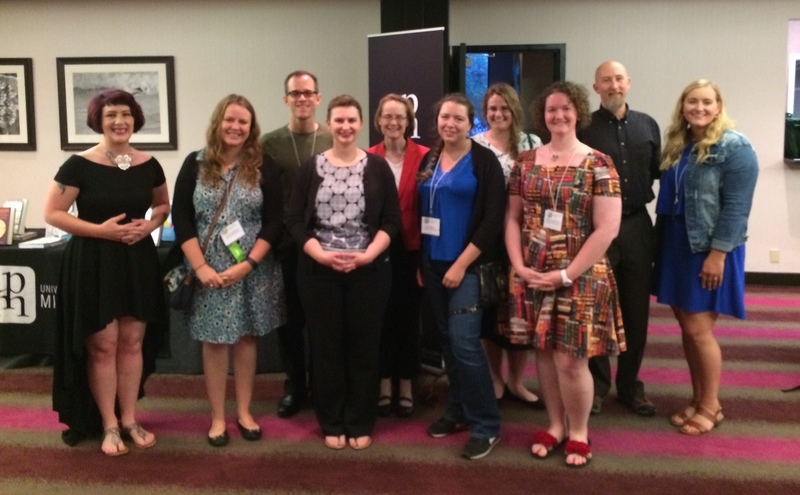 Frederick Burrack, Ruth Gurgel, Phil Payne, Jeffrey Ward, and undergraduate researchers Stephanie Goering, Logan Caywood, Alicia Jackson, Shelby Goss, Elias Gillespie, Ryan Dillon, and Talia Falcon presented at the Symposium for Music Teacher Education: Imagining Possible Futures in Minneapolis in September. Read more about their research topics here. Slawomir Dobrzanski, professor of music, presented a lecture on the 19th-century Polish influences on American piano music at the International Interdisciplinary Conference “Poles and Polish Diaspora in North America,” which was Sept. 21-22 at the Emigration Museum — Muzeum Emigracji — in Gdynia, Poland. 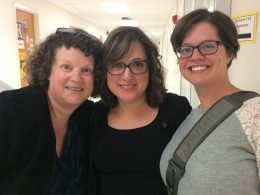 Amy Rosine, associate professor of music, and collaborator Sandra Mosteller, who perform as Sorores Duo and have been selected as a semi-finalist for the American Prize in Chamber Music Performance. The American Prize is a series of new, non-profit national competitions in the performing arts providing cash awards, professional adjudication and regional, national and international recognition for the best recorded performances by ensembles and individuals each year in the United States at the professional, college/university, church, community and secondary school levels. Administered by Hat City Music Theater, Inc., a nonprofit organization based in Danbury, Connecticut, The American Prize was founded in 2009 and is awarded annually. 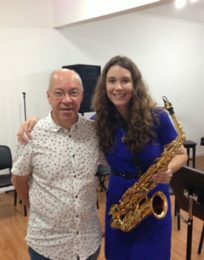 Anna Marie Wytko, associate professor of saxophone, recently served as featured American saxophonist-in-residence at the fourth International Saxophone Festival Sf Montevideo, Uruguay. Wytko performed as soloist and recitalist, in addition to conducting teaching workshops for students from around the world. 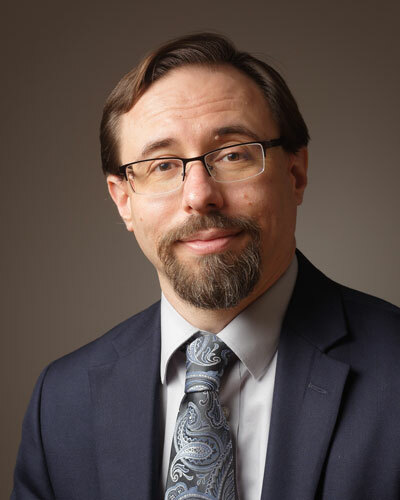 Frederick Burrack, professor of music and director of assessment, is one of 15 people selected to participate on the Knowledge Development Task Force. This task force, organized by the Association for the Assessment of Learning in Higher Education, will meet monthly for two years with a mission to advance the body of knowledge devoted to assessing and improving student learning in higher education. The goals of the task force include expanding key strategies of knowledge development; initiating a database of learning identifiers at all levels of higher education; creating a bibliography of the top 100 articles on the concept of knowledge development in each decade from 1970 on identifying centrality of changes over time; and identifying problems that could be solved in the next decade in relation to assessment leadership, student learning and faculty development. John Ashburn, Ph.D. Candidate in Curriculum and Instruction (Music Education cognate), has been offered and accepted a saxophone position with the United States Marine Band upon completion of his doctoral work. John is a student of Anna Marie Wytko. 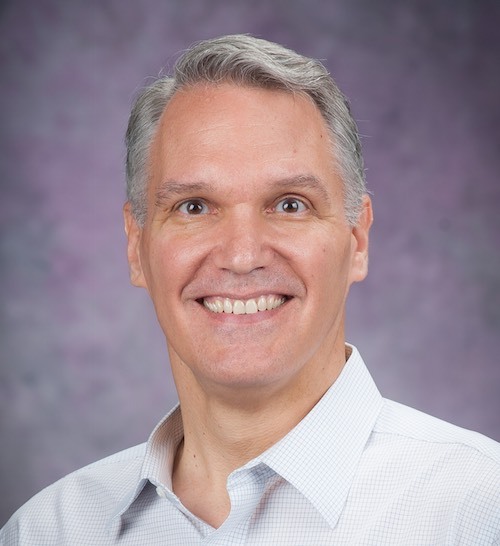 Michael Young, head of Psychological Sciences, was elected to the Executive Board of the Council of Graduate Departments of Psychology (COGDOP). COGDOP is a national organization comprised of department heads and chairs of psychology departments that have Masters or Ph.D. programs. 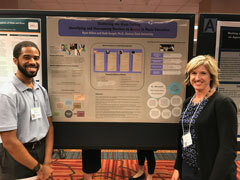 Young has benefited from COGDOP’s new chair training and his regular attendance at their annual meeting, and he wanted to pay those benefits forward to future generations of psychology department leaders. Eleanor Sayre, associate professor of physics, is the university’s 2017-2018 Fulbright scholar to the University of Calgary in Alberta, Canada. Sayre is researching why undergraduates pursue science-related careers and how they develop their professional identity as scientists.Sayre is the recipient of National Science Foundation’s Improving Undergraduate STEM Education grants for two current projects: one studying PhysPort, an online professional development tool used by physics professors, and another, the Mathematization project, which studies how upper-division physics students use math across multiple courses. 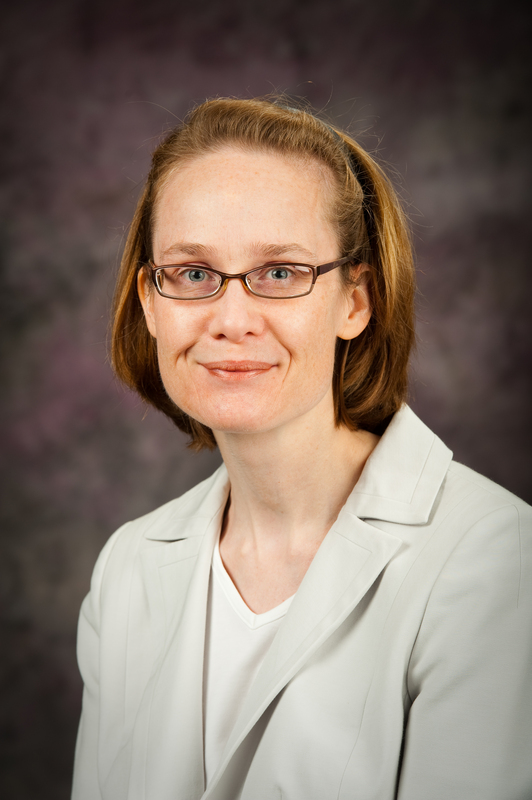 She has been the principal investigator for five NSF awards and several Physics Education Research Topical Group awards. She has authored more than 50 peer-reviewed publications. Read more about Sayre’s research here. Two Kansas State University faculty members are among four recipients of one of the state’s most prestigious recognition for scholarly excellence, the Higuchi-KU Endowment Research Achievement Awards. 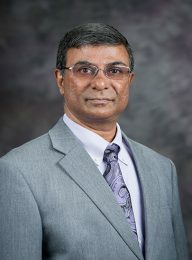 Vara Prasad, professor of agronomy, is the recipient of the Irvin E. Youngberg Award in Applied Sciences, and Bharat Ratra, university distinguished professor of physics, is the recipient of the Olin K. Petefish Award in Basic Sciences. 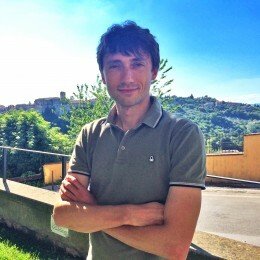 Ratra is known for his work on dynamical dark energy and on the quantum-mechanical generation of energy density and magnetic field fluctuations during inflation. His current research focuses on developing and testing cosmological models for the large-scale matter and radiation distributions in the universe. A primary research goal is to test Einstein’s general relativity on extremely large spatial and temporal scales, in addition to determining the geometry and contents of the universe and how large-scale structure in the universe was formed. In 1988, Ratra, with Jim Peebles of Princeton University, proposed the first dynamical dark energy scalar field model. Dark energy is responsible for causing the expansion of the universe to accelerate. With advances in observational astronomy, new data may become available over the next decade that might establish the Ratra-Peebles mechanism as the best description of dark energy. Ratra also proposed the first inflation model that can generate, from quantum fluctuations, a large-enough primordial cosmological magnetic field to be able to explain observed galactic magnetic fields. Kevin Steinmetz, criminologist on faculty within the Department of Sociology, Anthropology and Social Work, coauthored “Technocrime and Criminological Theory” with Matt Nobles. Cybercrime, computer crime, Internet crime, and technosecurity have been of increasing concern to citizens, corporations, and governments since their emergence in the 1980s. Addressing both the conventional and radical theories underlying this emerging criminological trend, including feminist theory, social learning theory, and postmodernism, this text paves the way for those who seek to tackle the most pertinent areas in technocrime. Technocrime and Criminological Theory challenges readers to confront the conflicts, gaps, and questions faced by both scholars and practitioners in the field. This book serves as an ideal primer for scholars beginning to study technocrime or as a companion for graduate level courses in technocrime or deviance studies. The volume is set for release in 2018. Arthur Durband, associate professor of anthropology, co-authored a chapter (with Australian colleague Colin Pardoe) titled “Tooth Ablation along the Murray River in Southeastern Australia” in “A World View of Bioculturally Modified Teeth,” a forthcoming book from the University Press of Florida. 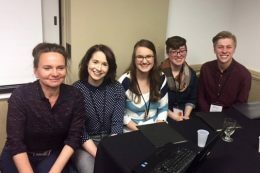 K-State archaeology faculty and six undergraduate anthropology students recently participated in the 75th annual meeting of the Plains Anthropological Society Oct. 4-7 in Bismarck, North Dakota. Brad Logan, research associate professor, presented “An Unquixotic Quest: Excavation of the Quixote Site (14JF420), a Late Woodland Occupation in the Delaware River Drainage, Northeastern Kansas.” His presentation summarized fieldwork and initial findings from the June 2017 Kansas Archaeological Training Program, a cooperative endeavor of the Kansas Historical Society, Kansas Anthropological Society, Logan on behalf of Kansas State University and public participants. Professor Lauren W. Ritterbush and Jakob Hanschu, junior in anthropology and geography, discussed “Researching and Preserving Burial Mounds: An Investigation in the Flint Hills” to update present knowledge gained about prehistoric mortuary features through the 2016 Kansas Archaeological Field School. 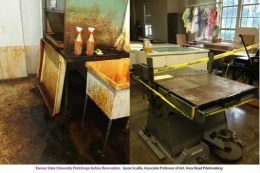 Twelve K-State anthropology students participated in this research while gaining valuable training in professional archaeological data collection techniques and mortuary site preservation. Hanschu also presented a poster of undergraduate research titled “Quantifying the Qualitative: Locating Burial Mounds in North-Central Kansas.” Through his independent research project, Hanschu used geographic information system software to map locations of recorded prehistoric mortuary features in north-central Kansas, then analyzed their distribution relative to topographic and hydrologic features in order to identify spatial patterns useful for modeling areas of high potential for past burial activities. A pedestrian archaeological survey was used to test the predictive nature of the proposed models. Through identification of these features, protection is enhanced as required under the state of Kansas Unmarked Burial Sites Preservation Act. Ruth Welti, University Distinguished Professor of Biology, is beginning a three-year term on the Publications Committee of the American Society of Biochemistry and Molecular Biology (ASBMB), a nonprofit scientific and educational society with more than 12,000 members. She is currently in her second five-year term as a member of the editorial board of the Journal of Biological Chemistry, one of three publications of ASBMB. 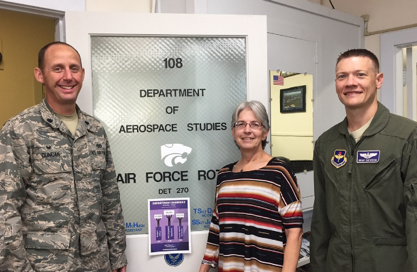 The Chapman Center for Rural Studies is now an interdisciplinary undergraduate research center within the K-State College of Arts and Sciences. The center had previously been housed within the college’s Department of History. The college will form a transitional committee to explore ways in which the center can foster creative partnerships, particularly in the digital humanities. 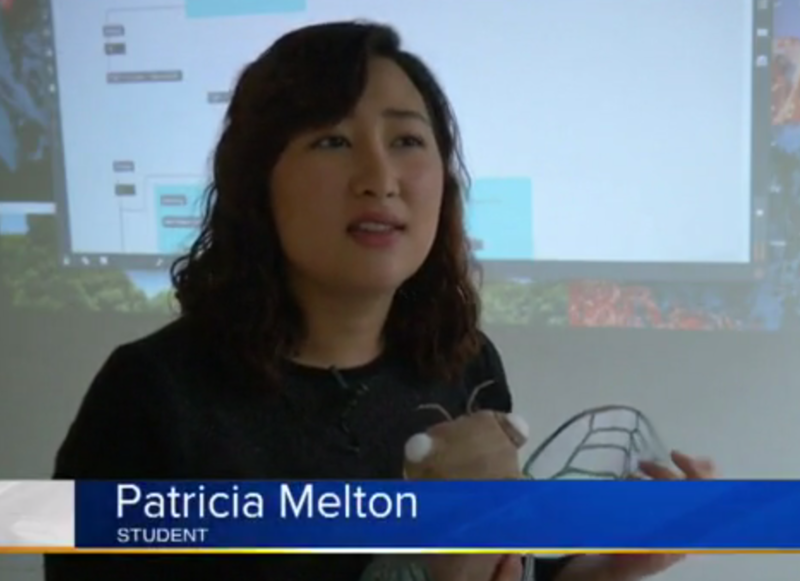 The Chapman Center currently provides undergraduates with hands-on training in professional skills such as accessioning, digital preservation and film editing. The center recently received a $2,000 gift from the Kansas Association of the Future Farmers of America in recognition of the work undergraduate student researchers at the center are doing about rural life in Kansas. 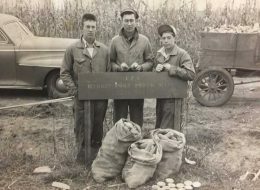 As part of this work, Katherine Sundgren, a junior in history, is digitally preserving a collection, including newspaper clippings, that documents the history of the FFA back to 1928 in preparation for the 100th anniversary of the organization. Chapman Center director Bonnie Lynn-Sherow, associate professor of history, was first made aware of the collection in the spring and decided that it was the perfect project for a summer intern. 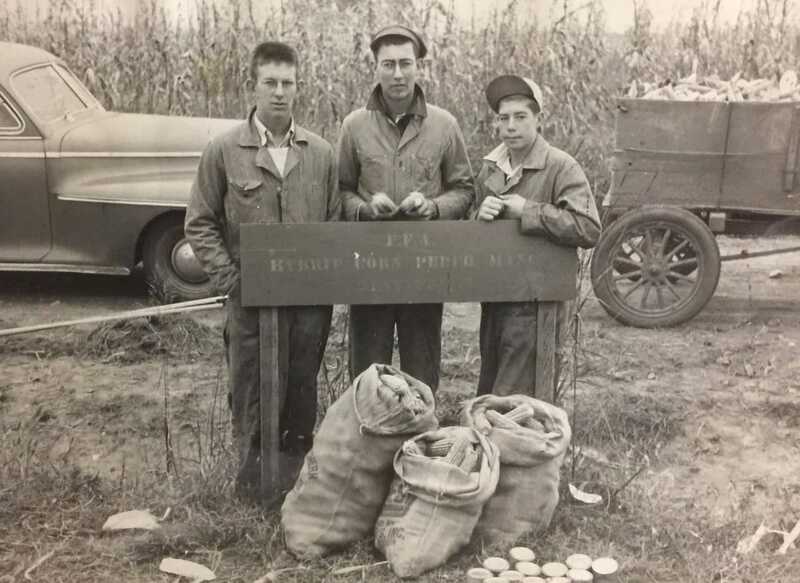 “The history of the FFA is integral to both the history of Kansas agriculture and Kansas State University,” Lynn-Sherow said. 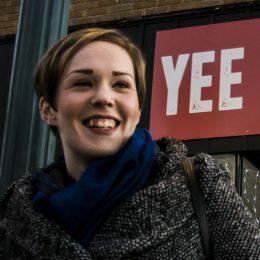 “The collection highlights the work of young adults dedicated to agricultural leadership and whose stories feel simultaneously foreign and intimate to our current student interns.” Read more about this project here. 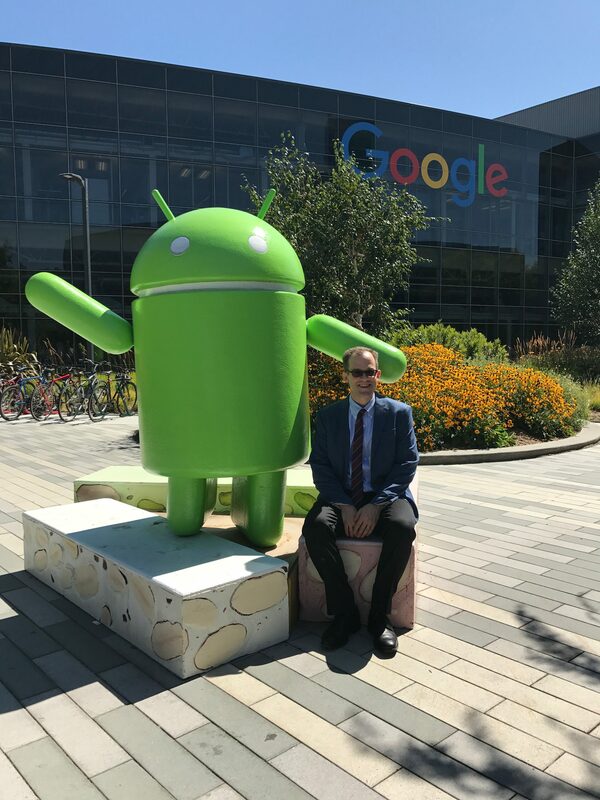 University Distinguished Professor Phil Nel presented a talk at Google on his forthcoming book “Was the Cat in the Hat Black? : The Hidden Racism of Children’s Literature and the Need for Diverse Books”. 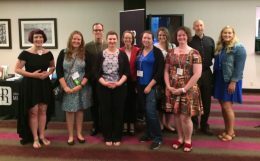 Faculty, current graduate students, and graduate alumni gathered in Tampa in June to present at the 2017 Children’s Literature Association Conference. Pictured at right are Amy Harris Aber (MA ’11), Corinne Matthews (MA ’17), University Distinguished Professor Philip Nel, Sara Austin (MA ’12), Emily Midkiff (MA ’12), Associate Professor and Department Head Karin Westman, Mandy Moore (MA ’18), Becca Rowe (MA ’16), Associate Professor Joe Sutliff Sanders, and Ashley Christ (MA ’16). Emily Mattingly (MA ’07) and Taraneh Matloob (MA ’11) also presented but are not pictured. 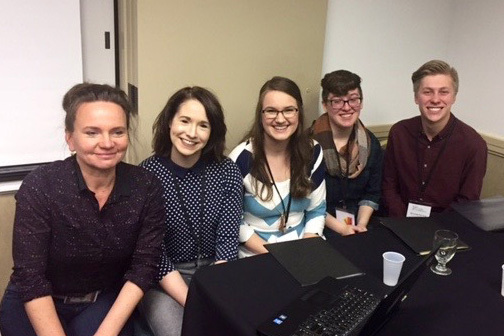 Steffi Dippold contributed to the online journal Common-Place as one of 13 emerging early American scholars introducing a pre-1800, open-access online text. Read her essay, “‘If I had ye gift of tongue’: The Obsession with Keys in the Seventeenth Century” here. 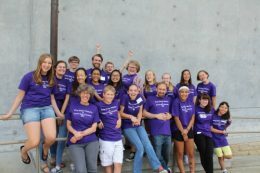 Fifteen young writers joined Associate Professor Katy Karlin and recent graduate students Kira Frank (MA ’17), Kirsten Hermreck (MA ’17), Brian McCarty (MA ’14), and Dylan Pyles (MA ’17) for the 4th annual Young Writers’ Workshop, June 26-30, at the Beach Museum of Art. Read about all five days of the workshop at the K-State Young Writers Workshop blog. Faculty, professional staff, and students in the college received numerous awards from K-State. 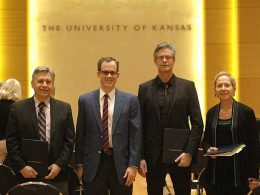 The Big 12 Faculty Fellowship Award was created to stimulate scholarly activities in the areas of teaching, research and service. 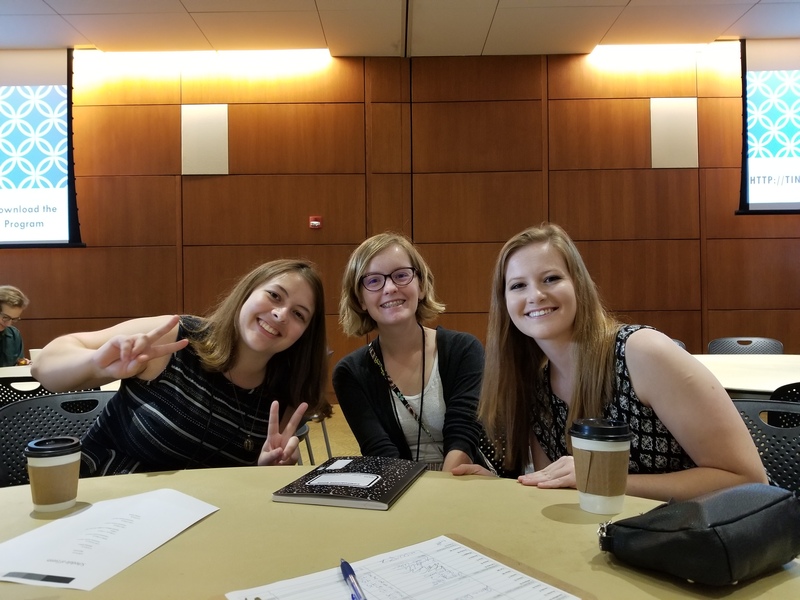 A mentoring and networking component was added to facilitate the establishment of contacts and networks for new faculty with outstanding individuals in their disciplines at other Big 12 universities. The program offers faculty the opportunity to participate in cross-mentoring among universities, develop working relationships and exchange ideas with others. Cydney Alexis, assistant professor of English and director of the Writing Center. Alexis observed and was mentored by Cheryl Ball, associate professor of digital publishing studies at West Virginia University. Alexis also observed WVU’s Eberly Writing Studio to compare the structure, hiring and training practices, and resource utilization of a writing center outside of K-State. 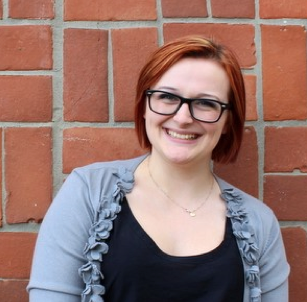 Alexis plans to integrate the pedagogical and technological tools she learned about in her courses at K-State. Carla Martinez Machain and Sam Bell, assistant professor of political science and associate professor of political science, respectively. Martinez Machain and Bell are using their joint fellowship to collaborate with assistant professors of political science Olga Chyzh and Mark Neiman at Iowa State University. They are examining the logic behind the placement of international military deployments in response to the military deployment placements of global competitors. They found that states may respond to the deployment of troops by a rival state by either competing for influence in the same region or by trying to maintain their own, separate, sphere of influence. Martinez Machain and Bell plan to continue expanding on this project in future work. 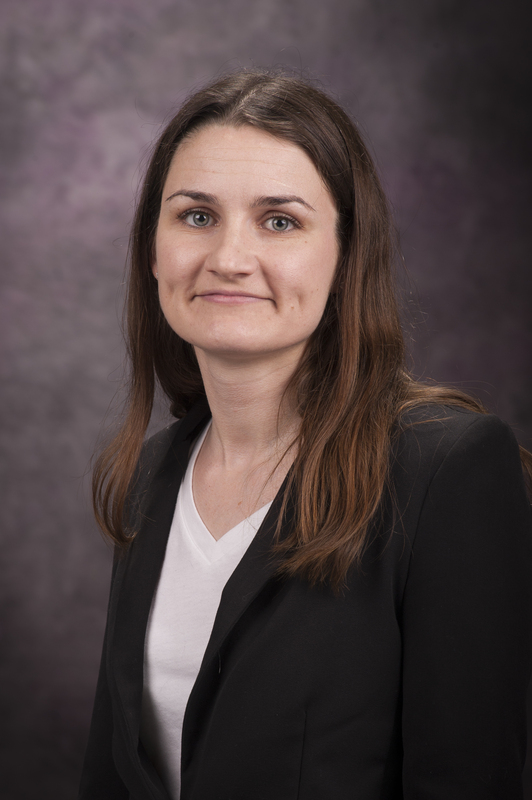 Alissandra Stoyan, assistant professor of political science. Stoyan collaborated with Farida Jalalzai, associate professor of political science and Hannah Atkins endowed chair at Oklahoma State University, in research analyzing women’s presidential campaigns in Latin America. Stoyan and Jalalzai’s research focused on successful and unsuccessful women’s presidential candidacies, and analyzed factors that possibly affected their electoral success, including individual traits like political party, personal and professional experiences, and family ties, as well as system-level institutional characteristics like the quality of democracy in the candidate’s country. Stoyan and Jalalzai just presented the working paper of this research at the Latin American Studies Association’s International Congress in Lima, Peru. The Commerce Bank and W.T. Kemper Foundation Distinguished Graduate Faculty Awards are an opportunity to showcase faculty members who excel in teaching, research and the mentoring of students. The Commerce Bancshares Foundation and the William T. Kemper Foundation support these awards to help the university honor its exceptional graduate faculty. Zongzhu Lin, professor of mathematics. 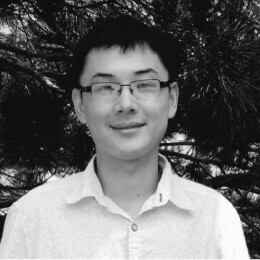 Lin researches representation theory of algebraic groups, quantum groups and Lie algebras, a branch of pure mathematics with deep connections to mathematical physics and quantum computing. 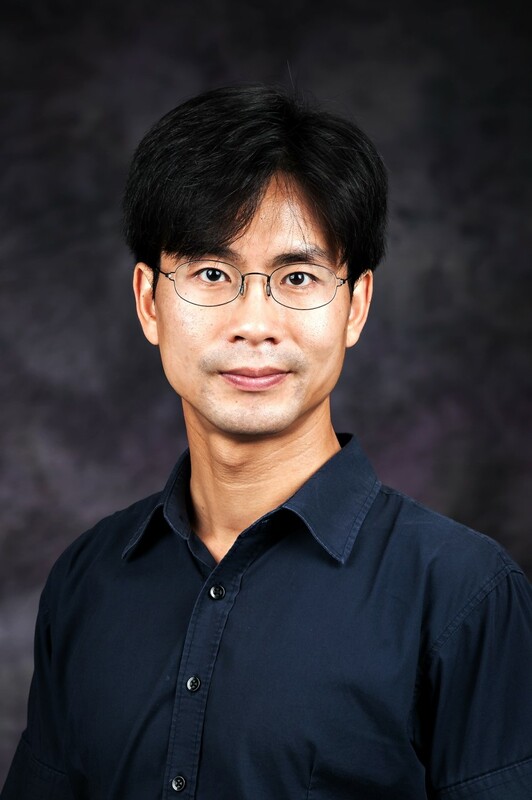 A Kansas State University faculty member since 1993, Lin’s research has been supported by numerous grants from the National Science Foundation and the National Security Agency. He was a member of Mathematical Science Research Institute and served as program director at the National Science Foundation from 2008-2011. He is a member of the American Mathematical Society, serving on the society’s Human Rights Committee. He has supervised and co-advised 10 doctoral students in mathematics at K-State. The Commerce Bank and W.T. Kemper Foundation Presidential Student Award for Distinguished Services in Enhancing Multiculturalism was established in spring 1997 to recognize outstanding individual contributions to diversity enhancement within the student sector. Yubisela Toledo, Bachelor’s candidate in biology and pre-optometry. Through her involvement with diverse groups on campus, including Circle K, and Developing Scholars, the Hispanic American Leadership Organization (HALO) Toledo has worked to enhance and expand multiculturalism at Kansas State University. 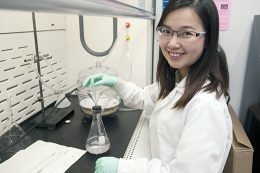 She is also a resident assistant for Jardine Apartments, an Edgerely-Franklin Urban Scholar, and a member of Dr. Stefan Bossmans’ laboratory. Toledo was also recently recognized with a Robinson Family Multicultural Leadership Award from the K-State Alumni Association. 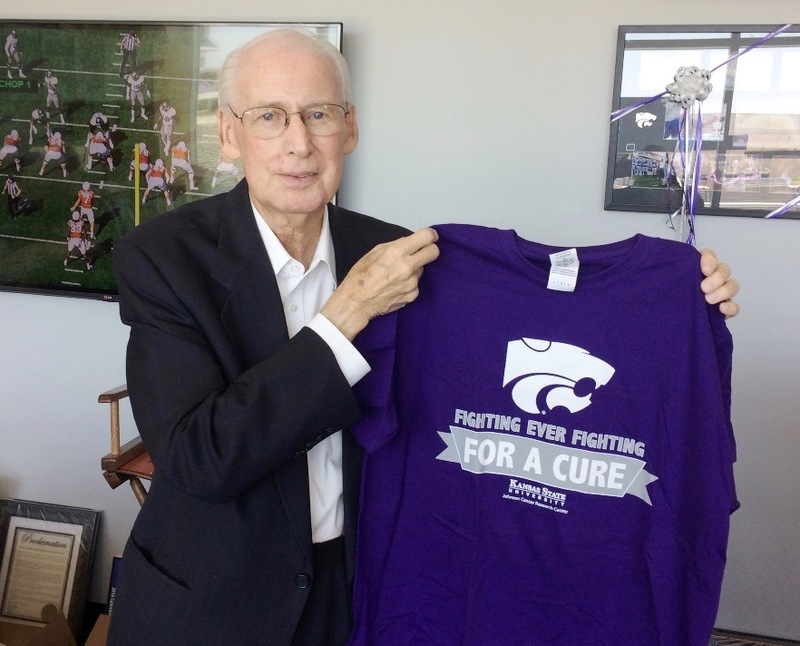 For nearly two decades, Commerce Bank and William T. Kemper Foundation have partnered with Kansas State University to promote and support excellence in undergraduate teaching. 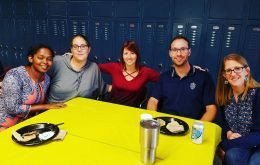 These recipients are committed to having a positive effect on students. 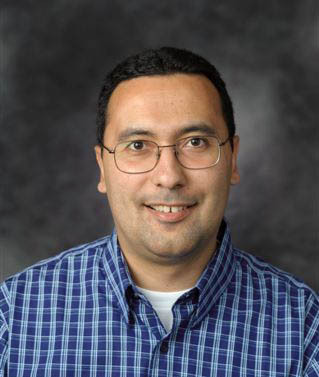 Sabri Ciftci, associate professor of political science and Michael W. Suleiman chair. Ciftci hopes to increase students’ understanding of how the Middle East is relevant to everyday life in the U.S. and how it has contributed to human civilization worldwide. He is the founder of the Middle East Speaker Series and has recently organized the Public Opinion, Gender and Conflict in the Middle East Conference. He teaches Middle East Politics, Comparative Politics, Advanced Research Methods and Political Islam, which he is revising through a Curriculum Development Grant from the Global Religion Research Initiative. Ciftci has received the College of Arts and Sciences’ William L. Stamey Award for Excellence in Undergraduate Teaching, and he was appointed the Michael W. Suleiman chair in Arab and Arab-American studies in the College of Arts and Sciences in 2015. He participates in the Muslim Student Association, the Egyptian Student Association and other international student organizations at Kansas State University. The Presidential Awards for Excellence in Undergraduate Teaching recognize compassion, dedication and creativity in undergraduate teaching. 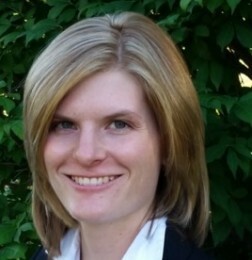 Ashley Rhodes, teaching associate professor of biology. Rhodes enjoys discovering the best ways to help undergraduates understand and use new information. She teaches Structure and Function of the Human Body and Physiology of Adaptations. She specializes in multimedia development in undergraduate physiology courses and the effects of instructional media on learners with little prior subject knowledge. 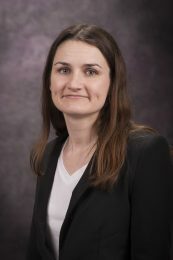 She has received the Commerce Bank Award for Outstanding Undergraduate Teaching, the K-State Panhellenic Professor of the Month, National Residence Hall Honorary University and Regional Faculty of the Month, Mortar Board National Honor Society Outstanding Faculty Member Award, Haymaker Teaching Excellence Award and the William L. Stamey Excellence in Undergraduate Teaching Award. Craig Spencer, associate professor of mathematics. Spencer appreciates the hardworking and positive attitudes of K-State undergraduates and especially enjoys teaching topics that are completely new to them. 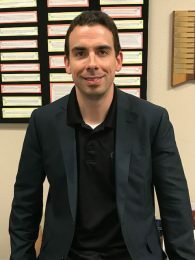 He has taught 10 different courses in his nine years at the university, and is currently teaching Mathematics for Elementary School Teachers and Analytic Geometry and Calculus I. 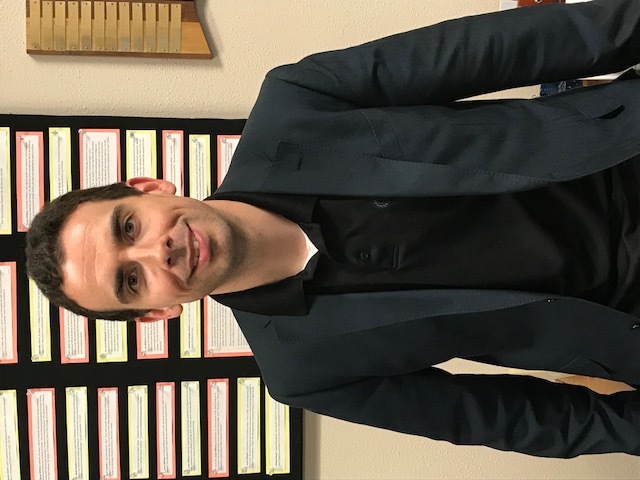 He is a co-principal investigator for math education grants from the Kansas State Department of Education and the Kansas Board of Regents. 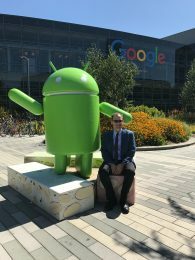 He was the principal investigator for three grants from the National Security Agency. He has received the William L. Stamey Excellence in Undergraduate Teaching Award and an Open Textbook Initiative Award. 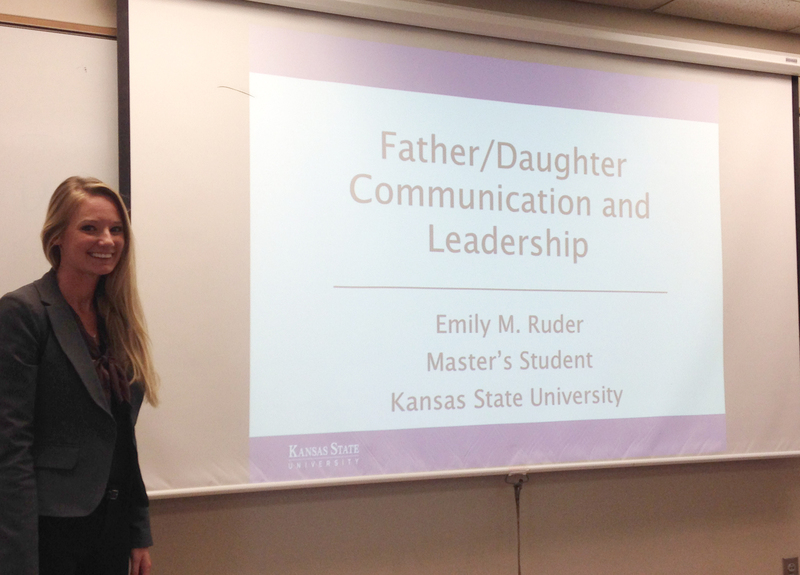 Emily Ruder, a master’s student in Communication Studies, presented a debut paper at the 102nd National Communication Association conference in Philadelphia, Nov. 10 – 13. 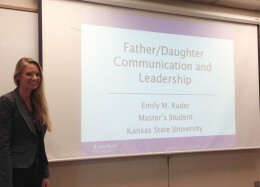 Ruder’s research project, “Father/Daughter Communication and Leadership,” focused on the extent to which fathers are leadership role models for their daughters. 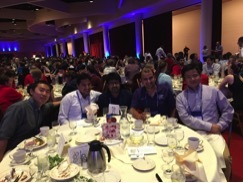 The paper was ranked one of the top four papers in the Master’s Education Division at the conference. 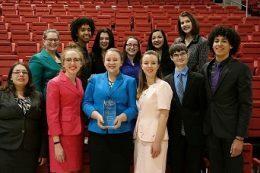 This was Emily’s first national conference. Miranda Klugesherz, a second-year master’s student in Communication Studies, received the George J. Mitchell Scholarship. The flagship program of the US-Ireland Alliance, the Mitchell Scholarship is a nationally competitive program which selects 12 young American leaders and fully funds a year of graduate study in Ireland. Mitchell scholars are encouraged to adopt an ambassadorial role and further ties between the US and Ireland while growing academically and in leadership and public service. Amanda Gaulke, assistant professor of economics, has been awarded a Spencer Foundation Small Research Grant in the amount of $40,850 for her proposal seeking to study student loan repayment. The goal of this project is to examine how people with student loans move through repayment and what factors are associated with losing good standing during repayment. Despite student debt exceeding credit card debt, little is known about how people transition through the repayment process. Gaulke and her co-investigators, financial economists Maxime Roy and Christopher Reynolds of the Office of the Comptroller of the Currency, seek to understand which factors affect people’s ability to repay their loans, and to describe such dynamics as when and how people’s loans go into default, deference or forbearance.